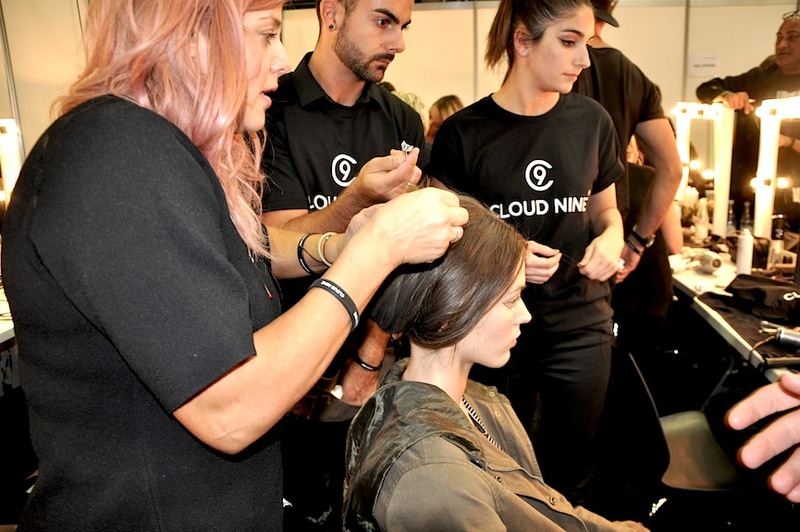 A simple step-by-step guide to creating Renya Xydis’ chic, slept-in ponytail for Lee Mathews SS15 with Cloud Nine. Shampoo and towel dry your hair. Apply a generous amount of Wella Ocean Spritz to the roots of the hair to add grab and lift. Using a Janeke Medium Round Brush, blowdry the hair making sure to over direct at the roots so the hair is soft, light and airy. 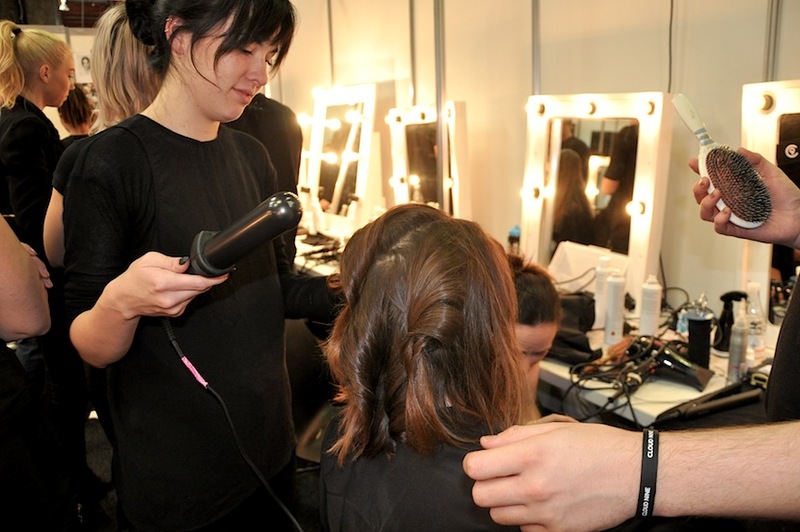 Moving around the head section by section, create soft romantic waves using your Cloud Nine Waving Wand. 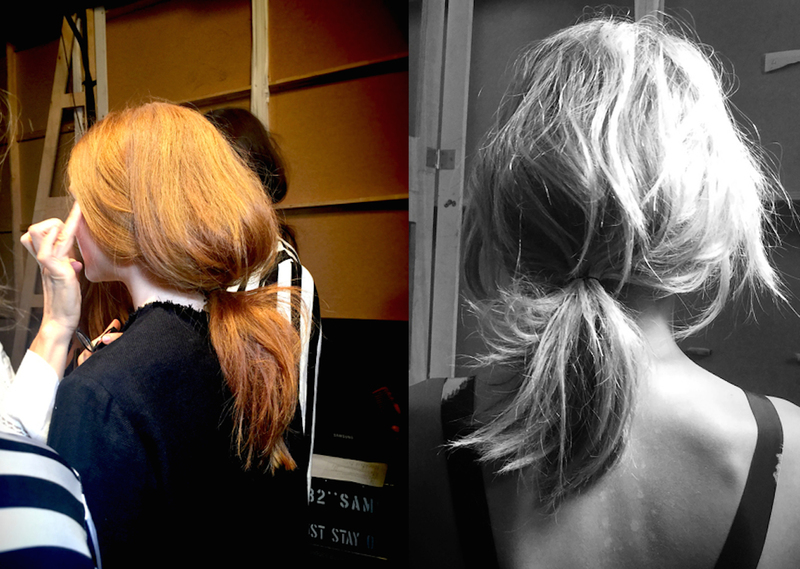 This will ensure your ponytail has more dimension. Scatter a decent amount of EVO’s Haze Styling Powder into the roots and body of the hair. 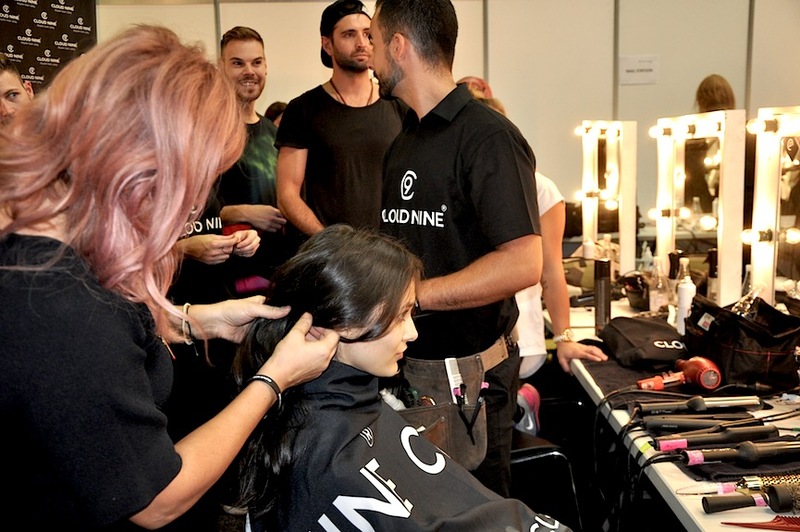 You want the texture of the hair to look matte and feel gritty. Using your hands, give the hair a really good shake. Make sure that the Haze Powder is dispersed throughout the hair and that it has absorbed any oil and shine. During this step, your waves should become a lot more broken up and textured. Pull all of the hair towards the back of the head and secure it at the nape of the neck, into a loose, free-form ponytail. Gently pinch the hair at the crown of the head to create lift. Loosen up the front section of hair along the hairline so that it hangs lazily from the body of the ponytail. This is what gives this style it’s beautiful, sleepy feel.